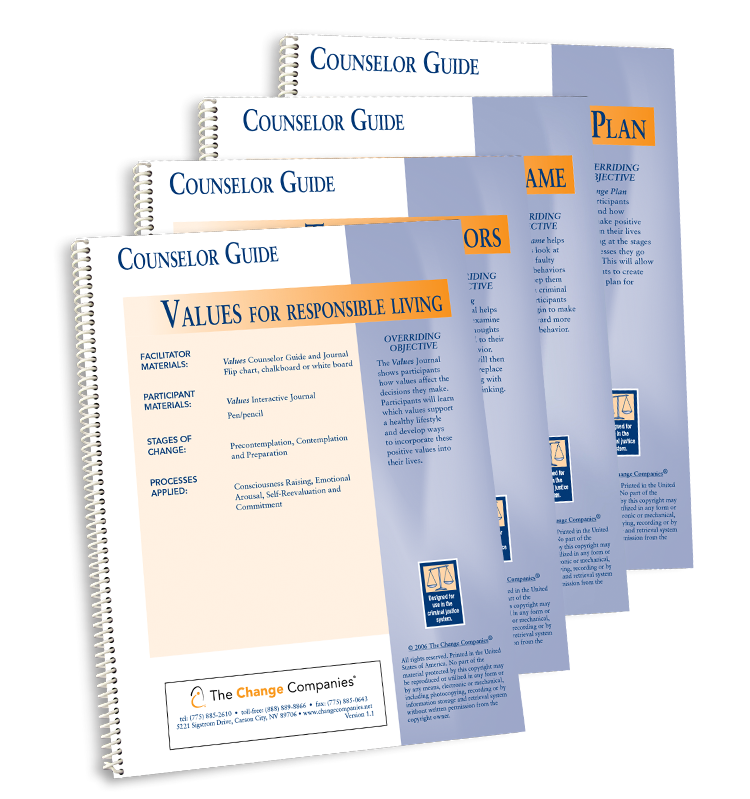 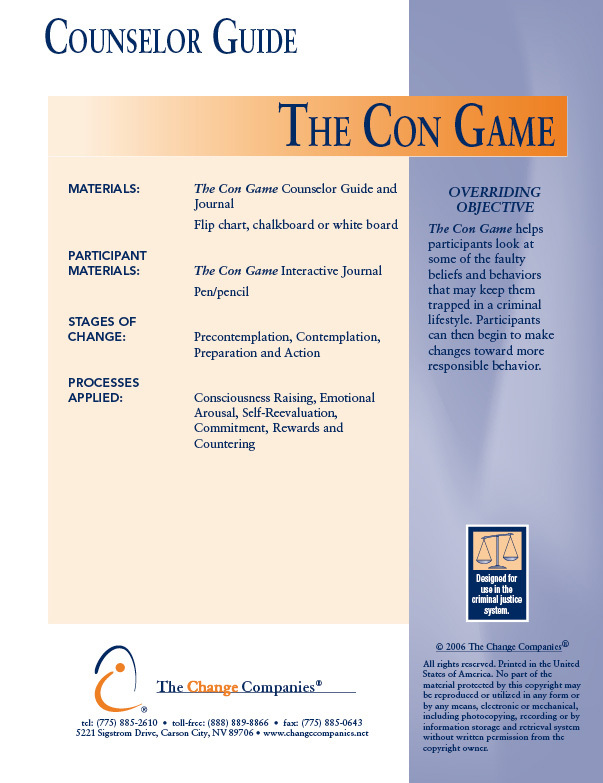 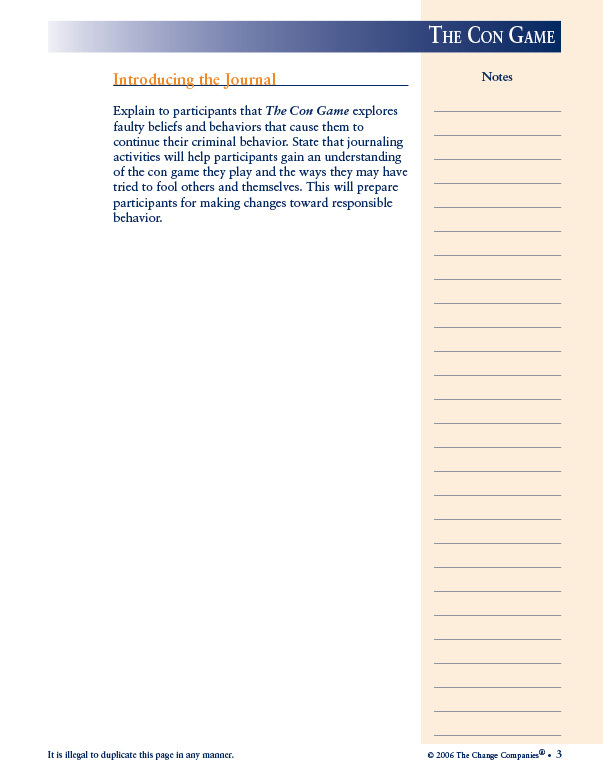 The user-friendly format of the Corrective Actions Counselor Guides help counselors every step of the way as they guide participants in the use of Interactive Journals. 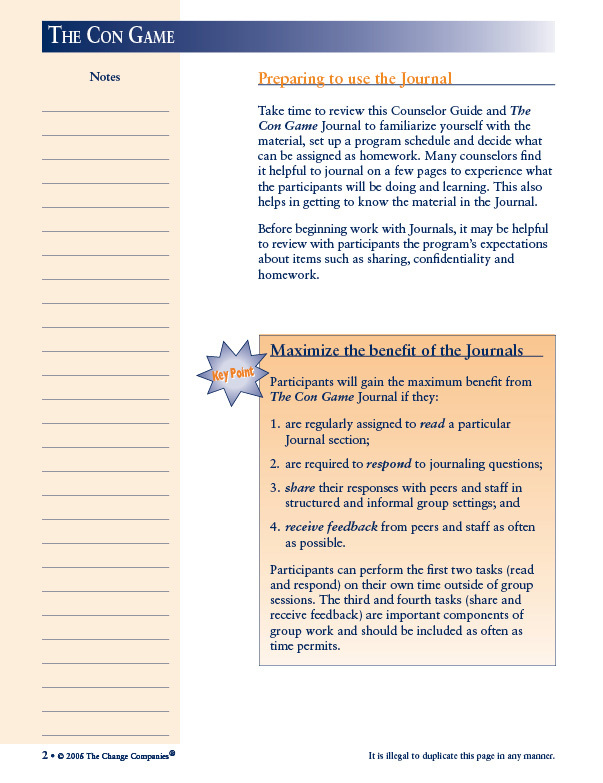 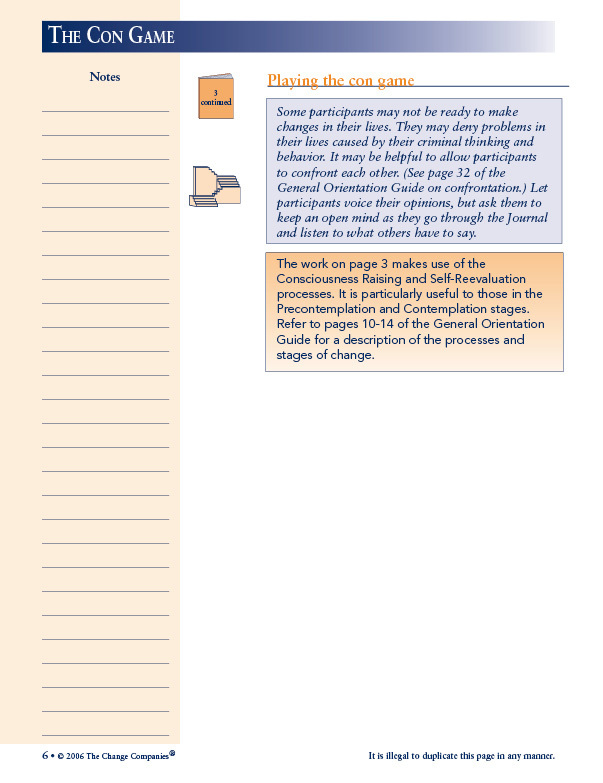 The suggested activities found throughout the Guides were developed to meet the objectives of the Corrective Actions Journals. 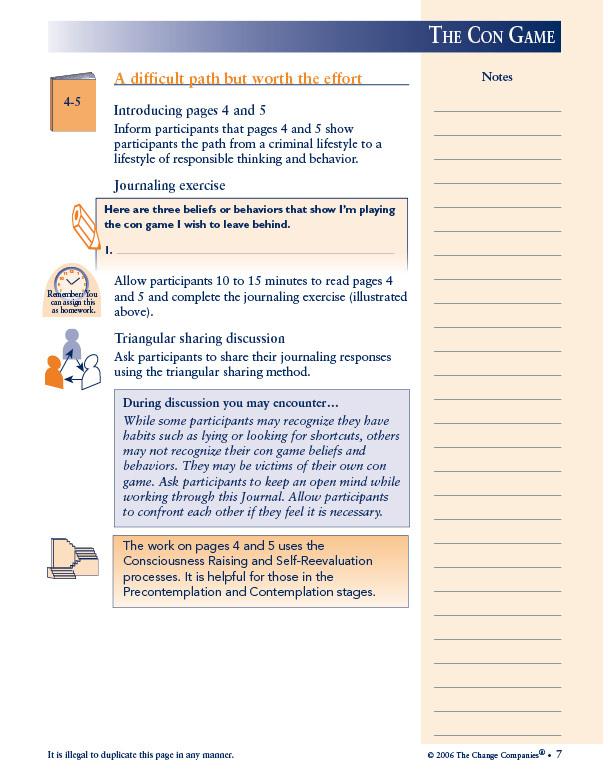 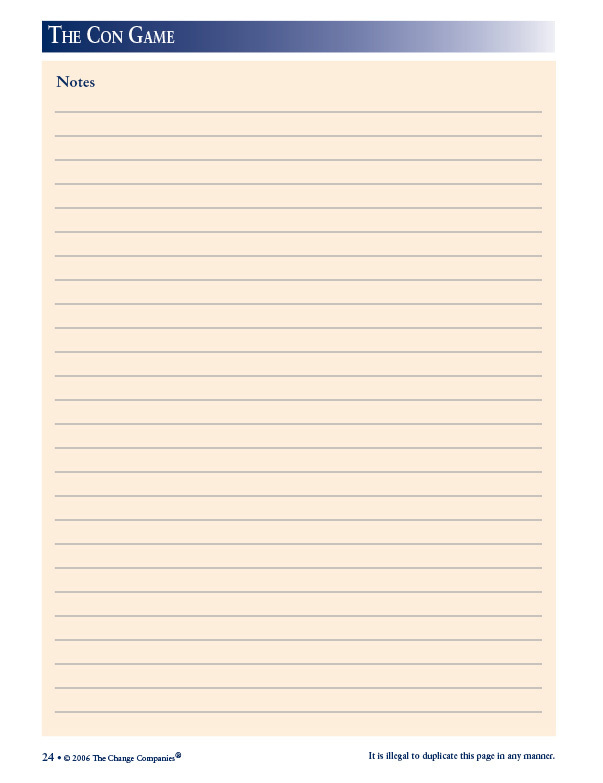 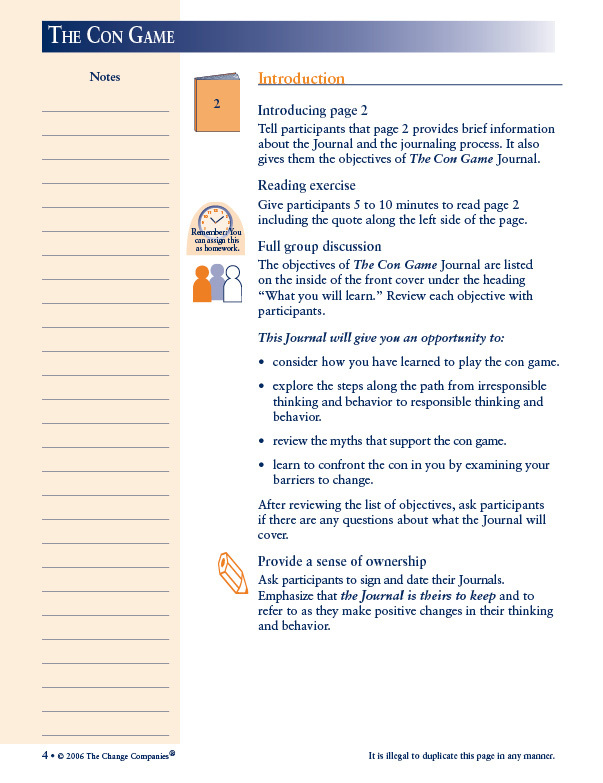 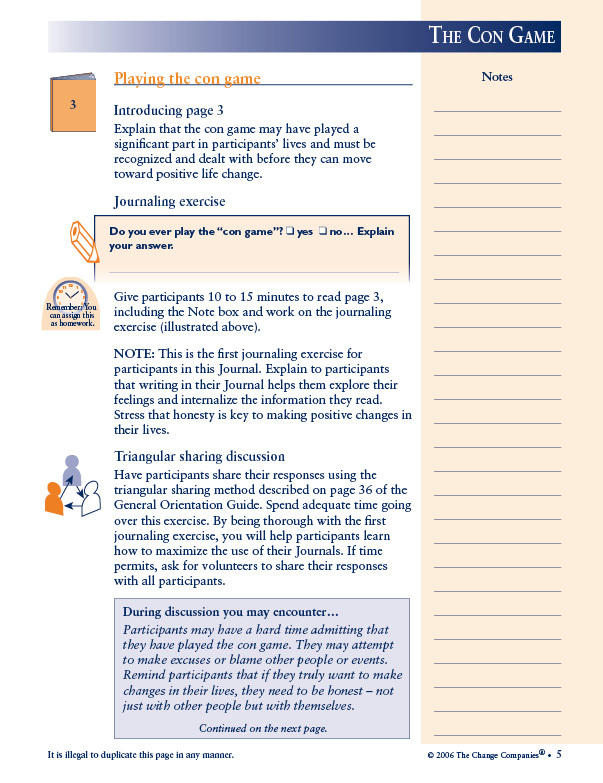 Ample space is provided for personal notes on customizing the activities to individual participants' needs.